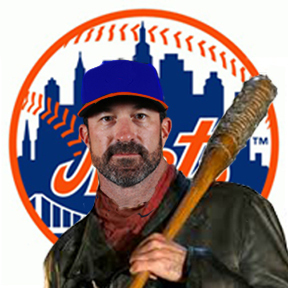 Seems Mickey "Negan" Callaway is putting together his Saviours.. The Mets will hire Gary DiSarcina to be their bench coach, reports Nick Cafardo of The Boston Globe. DiSarcina, 49, was bench coach for the Boston Red Sox in 2017 after having stints as third base coach and first base coach for the Angels from 2014 to 2016. QBC: Back To Regular Prices. Buy Your QBC 2018 Tickets Yet? Buy the Damn @DHAPshow Shirt Already! Mets: Star Wars Night Back at Citi Field?